The gut is the gateway to your health! - are you tired of feeling tired? - often feel stressed or depressed? - suffer with bloating, indigestion and gas? - have constipation or diarrhoea? - keep getting colds and flu? - unhappy with your complexion? Then this interactive workshop is for you. 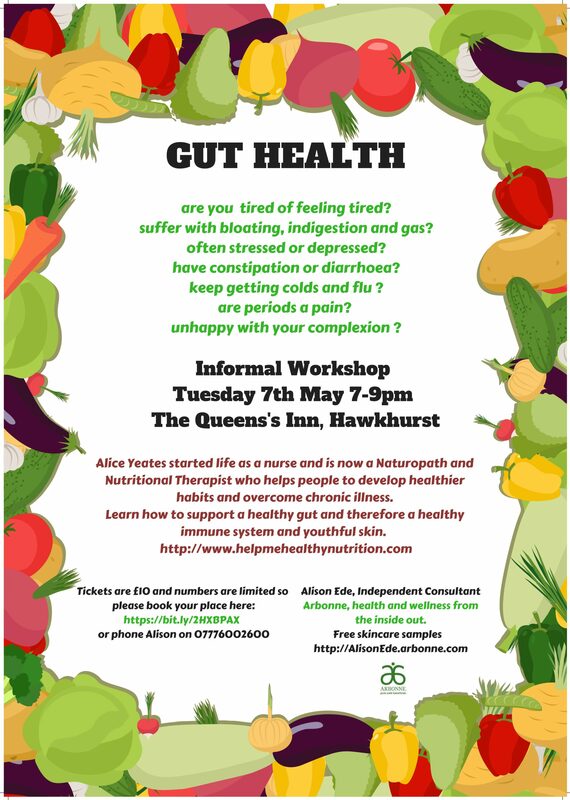 Come along and find out how to support a healthy gut and therefore a healthy immune system and youthful looking skin.